Welcome to Cheshire Hash House Harriers. Hashing is a traditional form of multi-terrain running, enjoyed across the globe. It’s a great way of getting a group of mixed ability runners around a marked route – and all back to the pub at the same time! Here in Cheshire, the Hash has a large following and includes all ages and abilities. We welcome new runners who simply enjoy an evening's run in good company, keeping fit and active, and often muddy! Even though some of our runners do local half and full marathons and Lakeland Trails the Tuesday trail is organised to give an enjoyable trip for the mixed pack. A trail that can be between 5-> 6.5miles and with luck may require a bit of thought to navigate. And best of all it ends up in a pub. We also have an active walking group. Click ‘Runs’ to check out our next location. 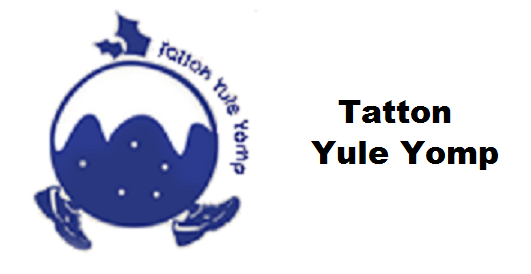 In December 2009 we held the first Tatton Yule Yomp multi terrain race in association with Tatton Park and local businesses.. The money raised all goes to support local North West charities. 2015 Race has produced over £24,000 and the total since the first race is now over £130,000.